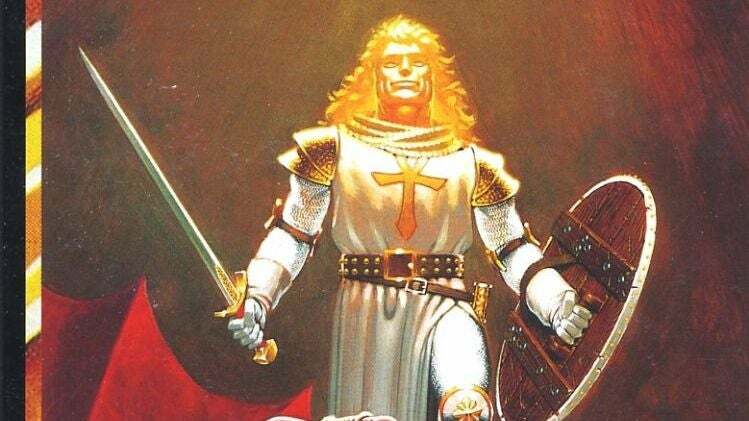 When I think back on the games I played growing up, the Ultima series stands out as one of the most unique and compelling. 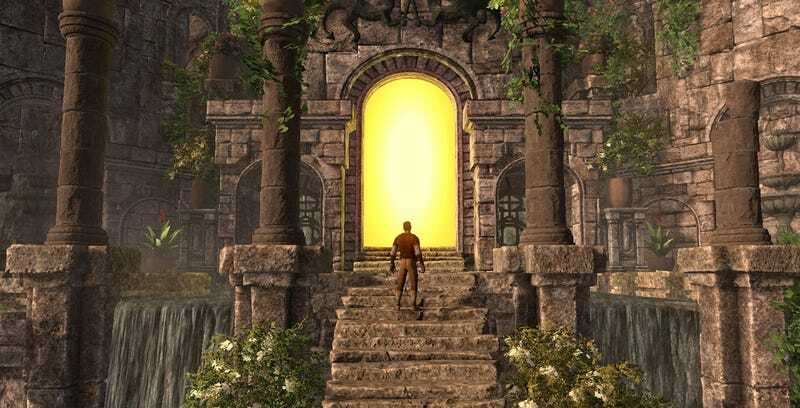 These open-world fantasy RPGs helped define and establish many of the standards of the genre through nine main instalments and multiple spin-offs on a variety of platforms. My first Ultima game was the third in the series, the Nintendo Entertainment System port of Exodus released in 1989, six years after the game’s initial release on Apple II. It was a difficult, but enjoyable, experience. 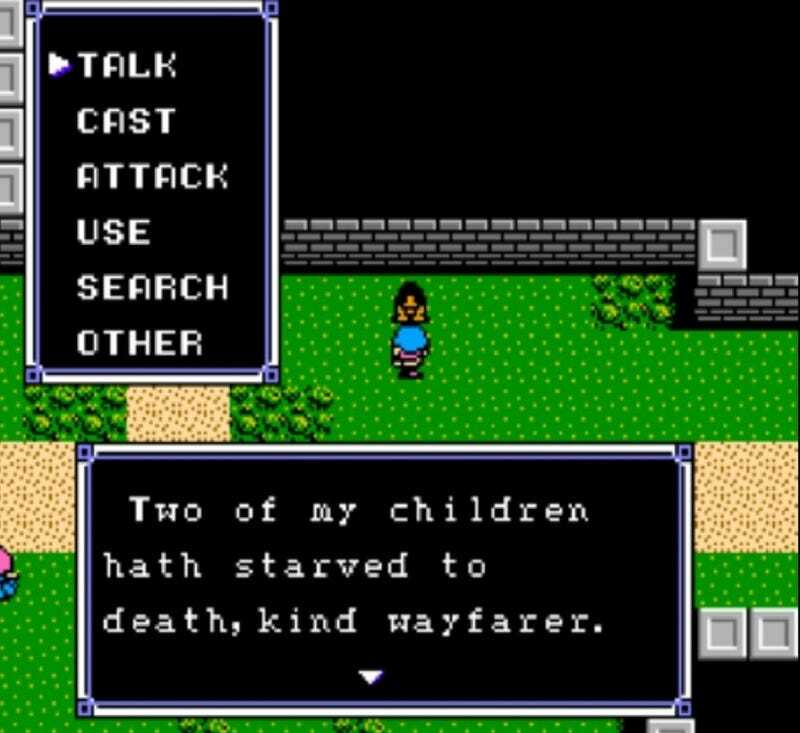 But 1985's Ultima IV, which I played on the Nintendo as well, was the game that I fell in love with, because it went so much against the grain of a traditional RPG. There weren’t villains you had to vanquish or an evil that had to be defeated. Your main goal was to be a good person and go throughout Britannia helping people. 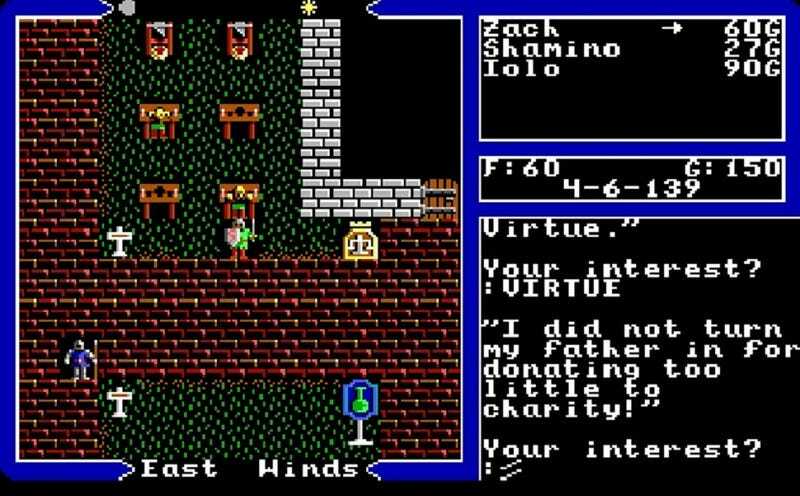 1988's Ultima V flipped morality on its head by pushing the virtues of the avatar into a moral absolutism that was terrifying. Further games in the series would push the boundaries of ethics, forcing players to question the binary values they’d normally associate with simpler gaming narratives. 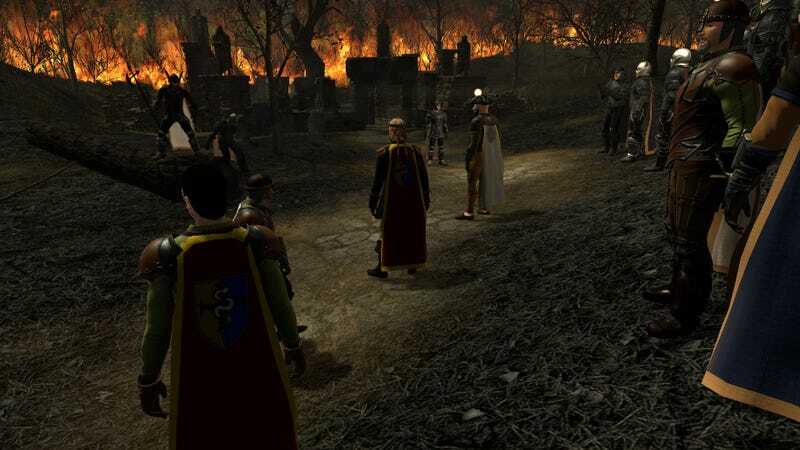 Recently, I had the chance to talk via email with Richard Garriott, aka Lord British, creator of the Ultima series, about the games as well as the spiritual successor to the series Shroud of the Avatar to know more about the stories behind their development. For a lot of people, Ultima IV was the game that changed their whole perspective on the narrative possibilities of gaming. The ultimate goal of pursuing the eight virtues and becoming the avatar was so much more fascinating than the trope of fighting back some evil or saving a princess. I asked Garriott about the evolution of the game. The letters would reveal a disturbing trend. “I was very surprised to see the consistent pattern of the letters people would write about their experiences with my games,” Garriott said. "Generally, they would first state how much they enjoyed the games to date, but then there would be pages and pages of critiques.” Garriott hoped that players, faced with the game’s open-ended moral choices, would choose to be good. But all those letters said otherwise. The game’s theme of pursuing virtues appealed to many players, and this sense of differentiating itself expanded to every element of the game, including the character creation. 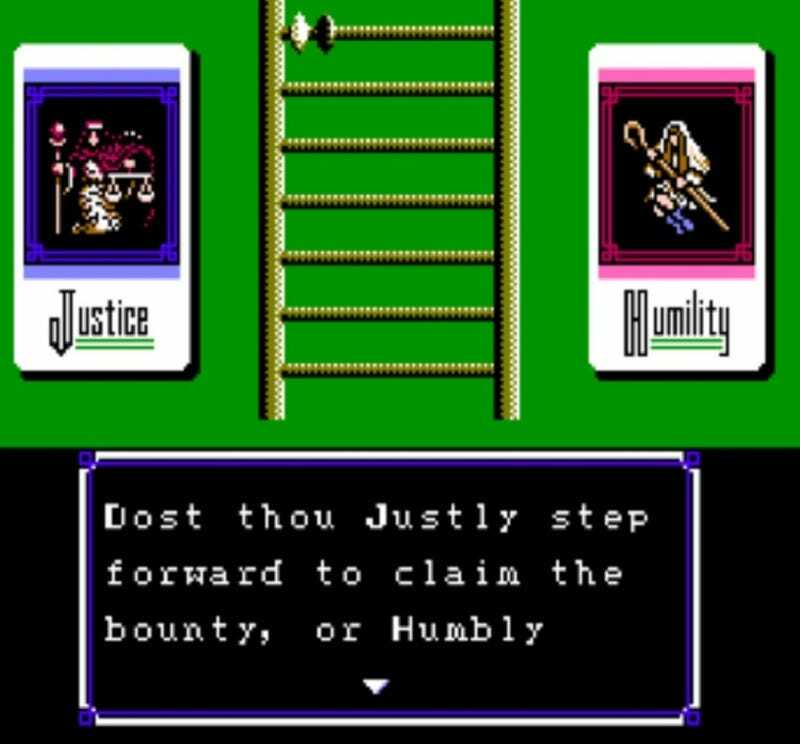 In the opening, rather than setting classes and stats, players are shown the Cards of Virtue. They’re then asked a series of questions, almost like a psychological test, and the preferences determine the character they start with. What’s fascinating, and troubling thematically, about Ultima V was that everything good in IV becomes corrupted through the antagonist Lord Blackthorn’s scary absolutism. Blackthorne’s Code of Virtue has draconian laws: “Thou shalt help those in need, or thou shalt suffer the same need.” “Thou shalt donate half of thy income to charity, or thou shalt have no income.” “Thou shalt not lie, or thou shalt lose thy tongue.” There’s many lessons that seem all too familiar today with politicians espousing religious texts to justify what seems obviously inhumane. 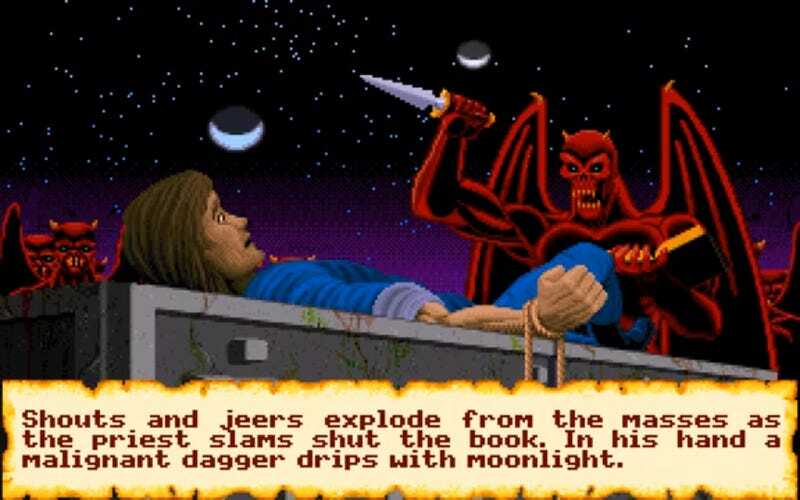 Ultima V has many great plot moments and some shocking ones as well. Lord Blackthorn’s arc, from trusted friend to the prime villain and then penitent exile, was a moving one. He also executed one of your party members, a sequence that was traumatising for me when I first played it. “Thus, starting as a friend was good, killing a party member, even better. But in the end, I also wanted to show that I really do believe that redemption is possible for pretty much everyone. Not that punishment shouldn’t fit the crime. But, in a game, I wanted to be a bit ‘lighter,’ in the end,” he said. 1990's Ultima VI: The False Prophet turned everything on its head again with the arrival of the seemingly devilish Gargoyles. Their nefarious intent seems all the more apparent when they try to sacrifice the Avatar on an altar. Fortunately, he’s rescued by his companions. But, being an Ultima game, there’s much more to the situation than meets the eye. Deep commentary ensues in the game on ethics, race, and morality, especially when you see the events of the world from the Gargoyles’ perspective. The war with the gargoyles upends expectations and biases, especially as the gargoyles have their own sets of virtues that differ from the Avatar. Players learn that the Avatar’s past act of taking the Codex of Infinite Wisdom ruined the gargoyle world, resulting in catastrophic destruction. In their eyes, it’s the Avatar who is the villain. One of the most interesting aspects about Ultima is how much the moongates and planetary orbits play an important role. His father, Owen Garriott, was a NASA astronaut, and Richard Garriott himself flew aboard the International Space Station in 2008 as a private astronaut. I asked him about the role of space and stars for the series. Just as the stars are in flux, Garriott has moved on from the Ultima series to work on several other games., The latest, Shroud of the Avatar: Forsaken Virtues, is considered a spiritual successor to the original series. I asked Garriott about Shroud, and what he learned from Ultima in approaching the new game. A lot has changed since the first Ultima released in 1981 for the Apple II. But the message and themes of the series seem just as relevant as ever, especially with so much change happening politically and historically. It seems our world could use a new band of heroes and avatars. Light-heartedly, I asked Garriott what his in-game character Lord British would say to the people of Earth in 2018.